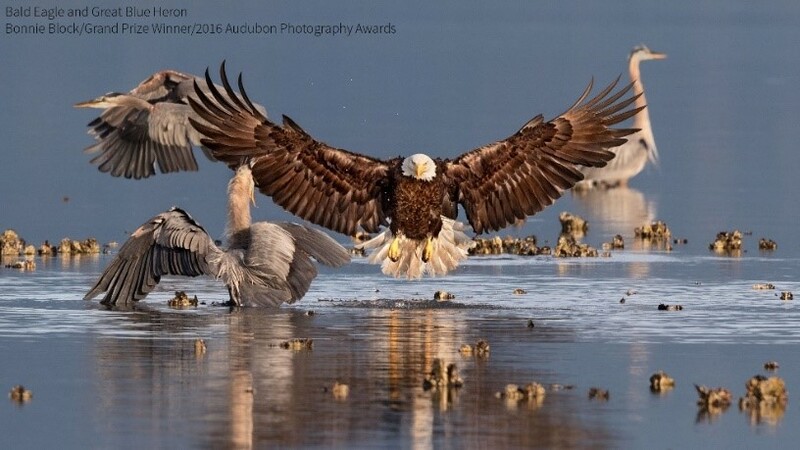 We are very pleased to be co-sponsoring, with the Friends of Reston, an exhibit of the photographs from the National Audubon Photography Awards Show. The exhibit will be at the Walker Nature Center in Reston from January 28 through February 14, and is free. There will be an open house on January 29, and screening of the film John James Audubon and the Birds of America on January 27. Last minute reminder to come join us for our Post-Holiday Audubon Afternoon on Sunday, January 8. David Johnson, Director of the Global Owl Project, will be speaking to us about “Owls in Myth and Culture.” Come at 2:30 for refreshments and socializing. Space is still available on the trip to Belize/Guatemala in March, offered in partnership with Holbrook Travel. This is an opportunity for some fantastic birding, and it is also a way you can support sustainable, bird-based tourism in the wintering grounds for many of the birds that breed in our area in the summer. Proceeds also help to support ASNV. Looking for new ways this winter to pursue your obsession with nature and birds without having to endure the cold weather? Then consider adding these two great events to your 2017 calendar. Winter is a great time to improve your birding skills. Birds are easier to find since there are no leaves on the trees. In addition, winter brings a wide variety of usually easy to see ducks and geese. Several species of hawks and sparrows also call our region home during our coldest months. For this workshop we will have a classroom session and a field trip. Limit 25.